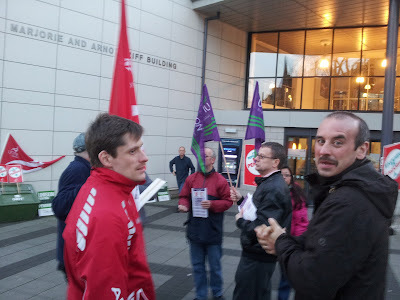 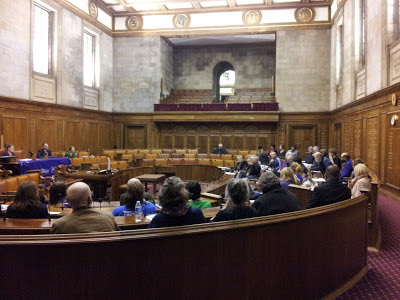 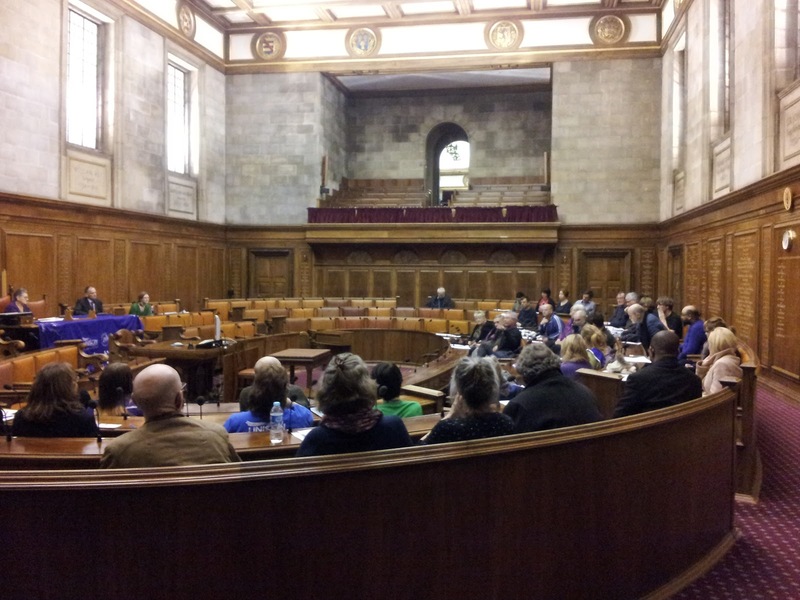 Leeds and York Unison Community Health branch held a well attended meeting chaired by Leeds TUC President Sheila Banks on Thursday 29 November against the governments cuts to the NHS. 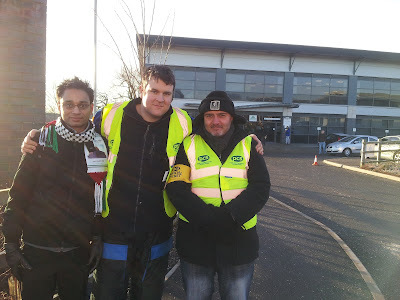 PCS DVLA members in Leeds joined a national strike on Friday 30 November against plans to close all 39 local DVLA offices in the country as well as other attacks on the Department for Transport. 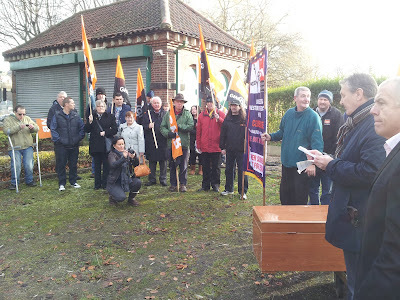 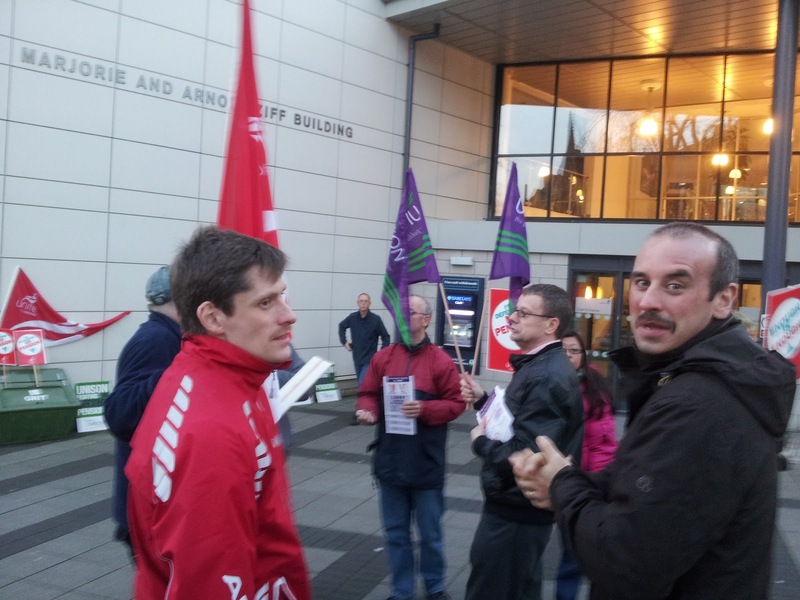 GMB members at the Leeds Remploy factory, and their supporters, held a mock funeral on Friday 30th November to mark the closing of their factory. 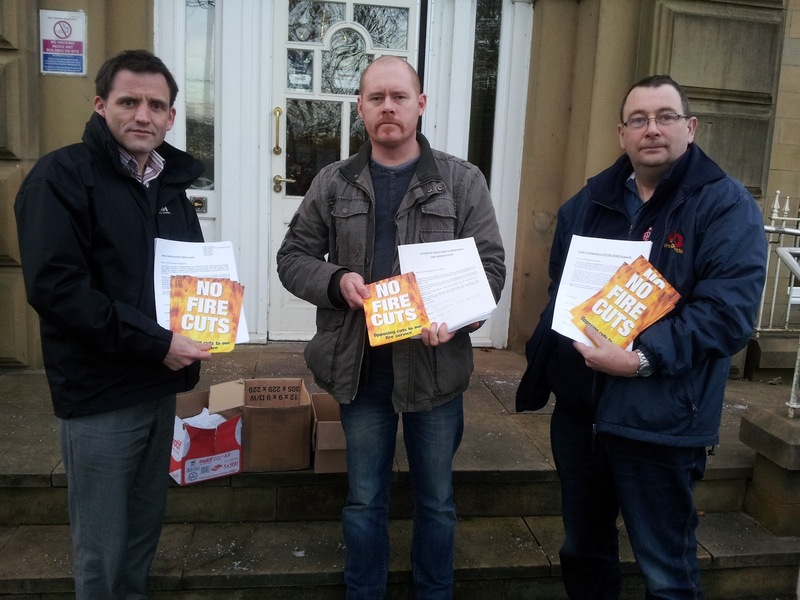 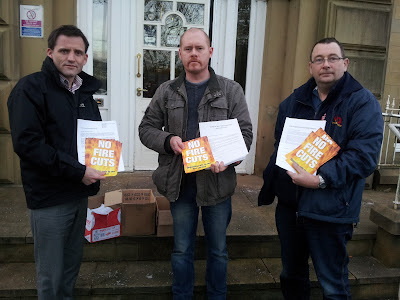 West Yorkshire FBU handed in over 10,000 signatures on Friday 30 November against plans to cut the fire service, including 11 less fire stations, 19 less fire engines and around 360 less fire-fighters jobs.